Through painting, printmaking, and drawing, together with multidisciplinary approaches to art making and research, students in the 2D Extended Media concentration bring together the awareness of issues in contemporary art, the development of their aesthetic and expressive abilities, together with critical thinking, to conceptualize and create images and objects with cultural impact. Being located at a top-ranked comprehensive Research I university, well-known for its engineering and science disciplines, 2D Extended Media students have the opportunity to connect their work to a larger socio-technological discourse on campus and beyond and are encouraged to develop interdisciplinary ties to other areas of study within and outside of the College of Liberal Arts. The goals of the 2D Extended Media program is to help students develop an expertise and mastery of their studio skills, creating a focused body of work within their chosen area of concentration. Graduates of the 2D Extended Media program may go on to continue their studies in MFA programs nationally or internationally, work as independent artists, gallery professionals, and educators. 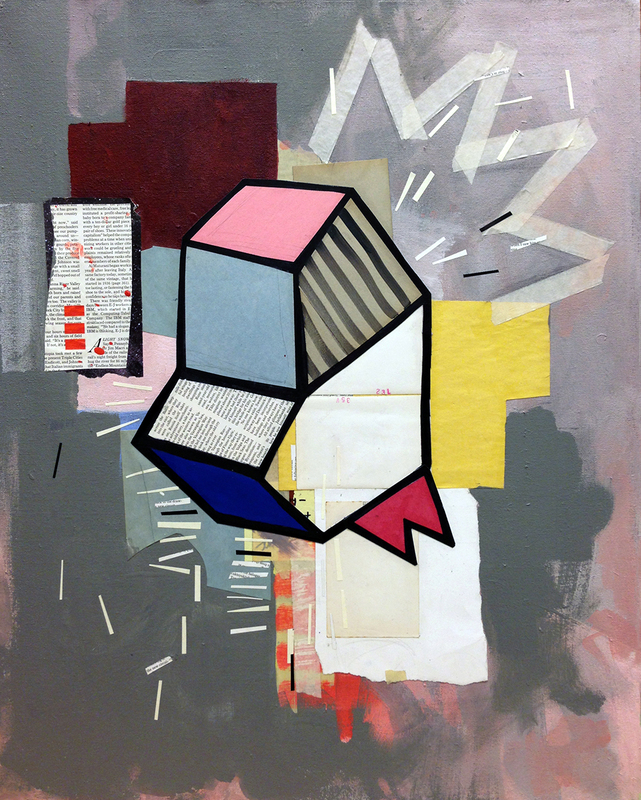 Using a multidisciplinary approach incorporating Painting, Printmaking, and Drawing, 2D Extended Media students develop the skills of flexibility providing them with the ability to adapt to the challenges of a rapidly changing interdisciplinary academic and work environment. In their research and art practice, Painting students explore the creative and expressive potential of painting and hybrid forms of artmaking. The goals of the program are to provide an interdisciplinary studio environment for the exploration and development of a variety of painting media such as oil, encaustic, acrylic, watercolor, assemblage, and alternative materials, the exchange of ideas and concepts across disciplines, and the critical investigation of historical and contemporary concepts and methods. 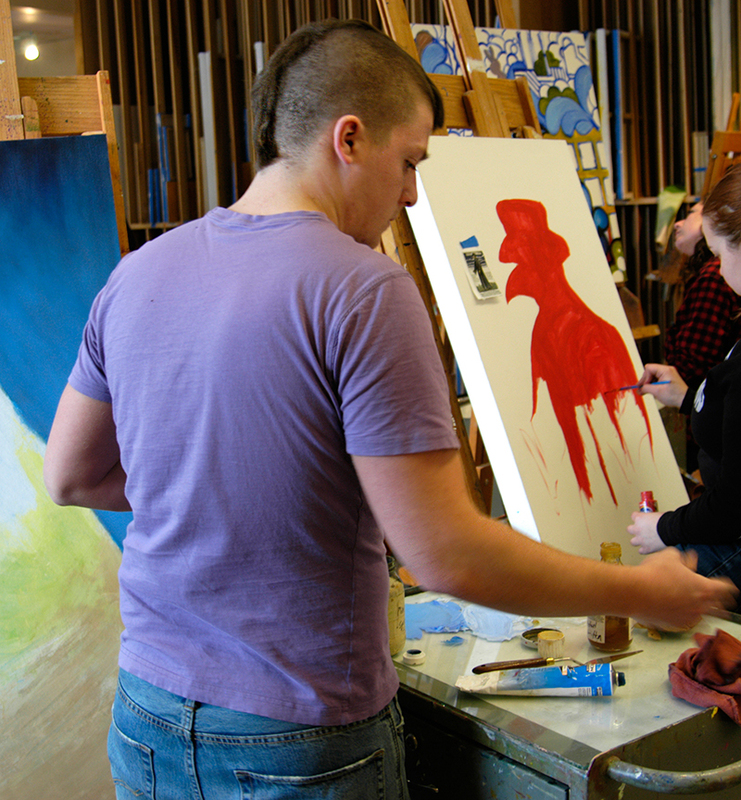 The program’s curriculum promotes individual inquiry and collaboration across painting, printmaking, and drawing, as well as across the different divisions and departments of the School of Visual and Performing Arts, as well as encouraging and supporting links to academic partners and resources across Purdue University at large. Contemporary printmaking has evolved into rich and complex art forms. The field includes alternative processes, mixed media and collage. Students are encouraged to express ideas in visual form. The program emphasizes self-exploration, individual expression, conceptual issues, and hybrid art forms. Professional practice is a significant part of the program. 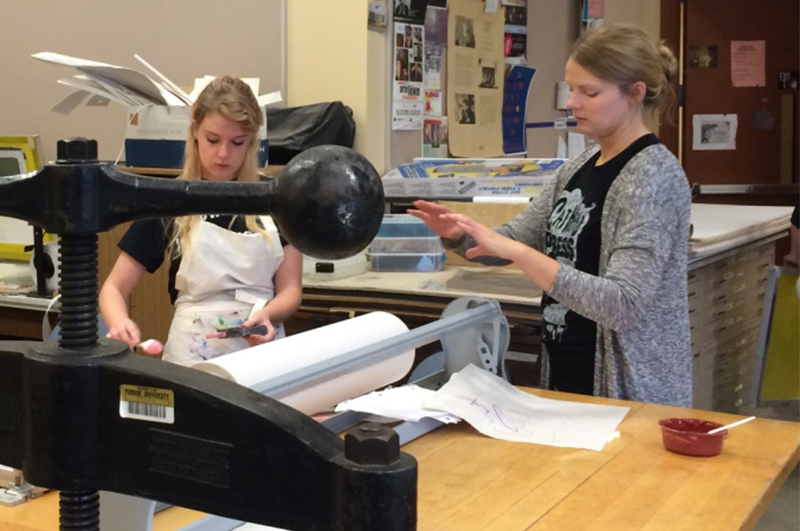 Students exhibit their work at Purdue, as well as nationally and internationally. An exciting range of courses in printmaking, silkscreen, relief, etching, lithography, monoprint, digital, are offered. Mixed media, alternative processes, painting, drawing and art history are included. Additional studio courses in computer art, photography, and other media are available as electives. Career positions for arts professionals are available in galleries, museums, education, illustration, publishing prints, selling and exhibiting art. 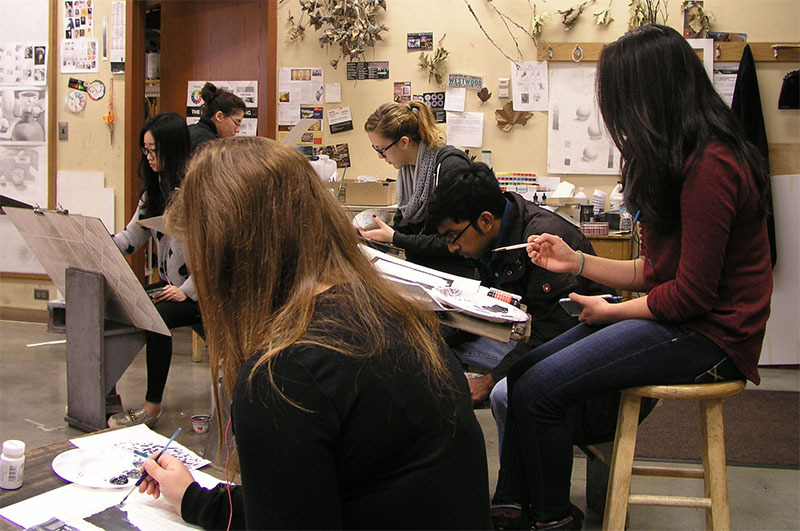 Purdue’s Drawing students learn to successfully communicate ideas or concepts visually through the use of this direct and immediate form of expression, as well as, through the study of historical and contemporary approaches to drawing. The curriculum first stresses the importance of aesthetic fundamentals and then becomes more open and experimental as students advance. Students employ a variety of traditional and non-traditional drawing materials, and digital technology provides an additional set of potential tools that students are encouraged to explore. With regular feedback from peers and artist/research faculty, students learn to work through the creative problem-solving process and are given the opportunity to develop their own artistic voices through focused studio practice. Students in the 2-D Extended Media area have access to five dedicated art studios for the exploration and development of both their chosen media and hybrid artmaking. These spaces include a fully equipped printmaking lab, painting studio, life drawing studio, and two additional foundation drawing studios. Additionally, 2-D Extended Media students have access to a 2000 sq. ft. wood and metal shop, as well as 3D printing, laser-cutting and CNC routing equipment. The students also have access to a departmental computer lab and student gallery spaces. The MFA graduate students are provided with individual studio spaces.